For nearly 30 years, our artisan, Francesco has been handcrafting delightful glass sculptures on Venice's famed isle of Murano, like this collectible Murano glass fish. To create each pesce (fish), he mouth blows molten glass into delicate forms then hand-shapes each detailed feature and fires. 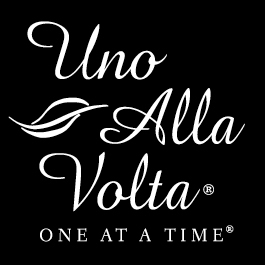 Each Murano glass fish is handcrafted exclusively for Uno Alla Volta, from the heart and hands of artisans. No two will be exactly alike. Each fish sculpture measures approx. 4 in. x 3.25 in.